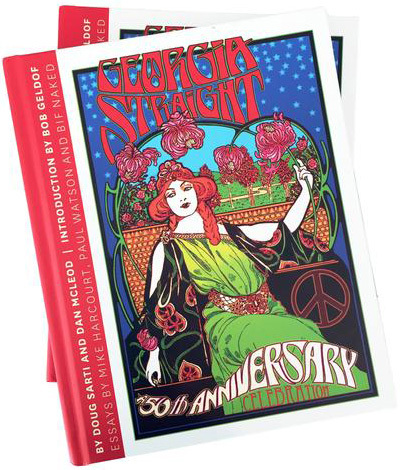 By phone with the Georgia Straight, BLM Vancouver organizer Daniella Barreto explained that the petition was timed to coincide with their Black History Month profile on trans activist Marsha P. Johnson, who was an significant figure in starting the Stonewall riots in New York City, which in turn gave rise to the LGBT–rights movement. VPS operations executive director Kieran Burgess explained to the Georgia Straight on February 7 that their approach will be to work with both BLM Vancouver and the VPS so that the VPD can participate while initiating change within their institution. Consequently, their approach will differ from Pride Toronto, who voted to support all of BLM Toronto's requests, among which was the removal of police officers from the parade. Barreto said that BLM Vancouver, which is comprised of about 30 LGBT and straight people, is 100 percent behind Pride Toronto's approach. Meanwhile, Halifax Regional Police announced on February 6 that after discussion with Halifax Pride, they will temporarily discontinue marching within the parade but will increase involvement in other ways with the 2017 Halifax Pride Festival, such as possible public lectures, plenary sessions, or a community barbecue. They will also continue to perform traffic duty and provide security. “After several months of discussion with Halifax Pride, we recognized that our participation in the parade may contribute to divisions in the LGBT2Q+ community which is contrary to our intent of building a strong and sustainable relationship,” HRP Chief Jean-Michel Blais stated in a news release. Barreto called HRP's move a "surprisingly insightful thing to do". While Burgess had stated that the VPS will take an approach that will be appropriate to Vancouver's history and population, which is different from other cities, Barreto said that she remains concerned about what the police institution represents. "I think that police as an institution across the country are representative of the same things everywhere and so just because there are fewer people of colour or black people who also identify as queer in Vancouver doesn't mean these conversations should be brushed off," she said. "If anything, it means they should be listened to more because there are fewer of us." She also clarified what BLM Vancouver is requesting and seeking to raise awareness about. "I would like to make it very clear that this is about armed, uniformed police officers marching in the Pride parade itself," she stated. "The police represent and are part of systemic racism and violence in the society that we live in and they occupy a position of power so to people who are marginalized already by being black or being people of colour and then further marginalized within the queer community, black people and people of colour are not represented as much as other people. We feel that as members of the queer community we should be able to have this platform without people who already occupy this position of power. As Black Lives Matter, we would like to talk with the Pride Society…about how, as members of the queer community, our comfort and feelings of inclusion should be prioritized over an institution." BLM Vancouver will be attending the next VPS board meeting on February 21. Barreto pointed out that they are not seeking to exclude the police and recognize that there are LGBT police officers. "That's a funny word that people keep using about exclusion," she said. "We are not saying that the police shouldn't be there. If there are gay police officers, they should feel free to participate in the parade in their regular clothes just like everybody else." Burgess has said that the VPS will be taking some recommendations they received from community consultations to the VPD, such as for the police to be further involved in events such as discussion groups or workshops. However, Barreto said that she and most likely many others would feel uncomfortable attending such events unless it was run by an external group separate from VPD and VPS. "Since Pride is a protest and the reason it exists is against the raids and oppression from the police as an institution then being in the parade without offering any other sort of redress about issues surrounding marginalization and oppression, holding a rainbow flag and wearing a feather boa doesn't mean that marginalized communities are going to feel less intimidated by the police." As for those who may be worried about relationships between LGBT community members and the VPD being threatened by BLM Vancouver's requests, Barreto raised other considerations. "If those relationships are strong with the community members who think that they are, then having the police not march in the parade wouldn't affect that, first of all," she said. "Secondly…just because some members of the queer community feel comfortable doesn't mean everybody does and so those of us who do belong to that community and others and occupy intersectional spaces, that isn't comfortable for us yet. Black Lives Matter would like people to think about not just how they feel in relation to the police but why certain members of the queer community may not feel that comfort yet." While some critics of BLM Vancouver have argued that the Pride parade is not the place for BLM Vancouver's concerns, Barreto countered by emphasizing that black people are members of LGBT communities as well. "Black Lives Matter and Pride or queer issues are not separate things," she stated. "Some of the comments and messages we've been receiving are…that the Pride parade is not the venue for these issues, that the Pride parade is a celebration and these issues that Black Lives Matter have are not related and that is completely not the point. The point is that they are the same thing. If queer people do not feel like Pride is theirs or that they can be there or participate and those people are black people, then this is a Black Lives Matter issue." Furthermore, as members of LGBT communities, Barreto said that the concerns of queer community members should be more important than including other institutions. "To prioritize the police is antithetical to the Pride Society's mission, which is to be inclusive, and then [if] members of the community they're supposed to be representing do not feel that they are included, that's a problem," she said. As for what it would take for BLM Vancouver to accept the participation in the parade, Barreto said: "A lot of systemic change would need to happen first and that would take a very long time." Although she said that such change would entail too many extensive factors to go into in specifics about, she gave a brief overview of what such an overhaul might look like. "There would need to be internal change within the police institution, understanding really what issues of marginalization, colonization, and oppression look like in their interactions with individual members of different groups but then also how the institution as a whole operates within a larger system." Regarding criticism of BLM Vancouver, Barreto said that provides justification as to why there needs to be more discussion about inclusion and what the city can do about inclusion, anti-oppression, and anti-racism. "To be completely honest, it proves our point," she said. "The amount of hateful, racist backlash that we're receiving from within and external to the queer community just proves why Black Lives Matter needs to exist in Vancouver." She advises that "listening is key" and for anyone who doesn't understand what they are trying to achieve would benefit from learning more about intersectionality. Despite the debates and controversy that has arisen, Barreto said that this is all part of a much-needed process. "This is precisely where we need to be and I don't think there's any message being lost and this is a conversation that the whole country needs to have."